Loosely based on the turbulent real life events of the poet of the same name. Along with the servant Carlo Gérard, Chénier falls in love with young aristocrat Maddalena, and will do anything to win over her heart. 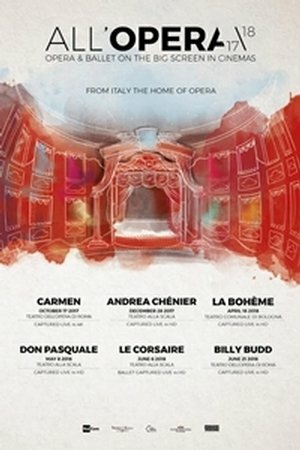 First performed at the Teatro Alla Scala in 1896, Umberto Giordano’s opera is brought to life by Russian soprano Anna Netrebko and her husband Yusif Eyvazov.